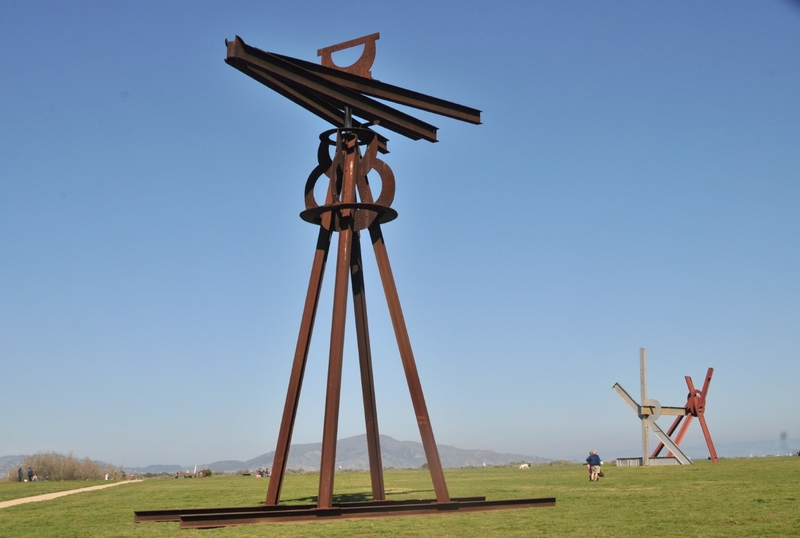 The Dreamcatcher sculpture resembled an old navigational tool yet moved in response to wind. 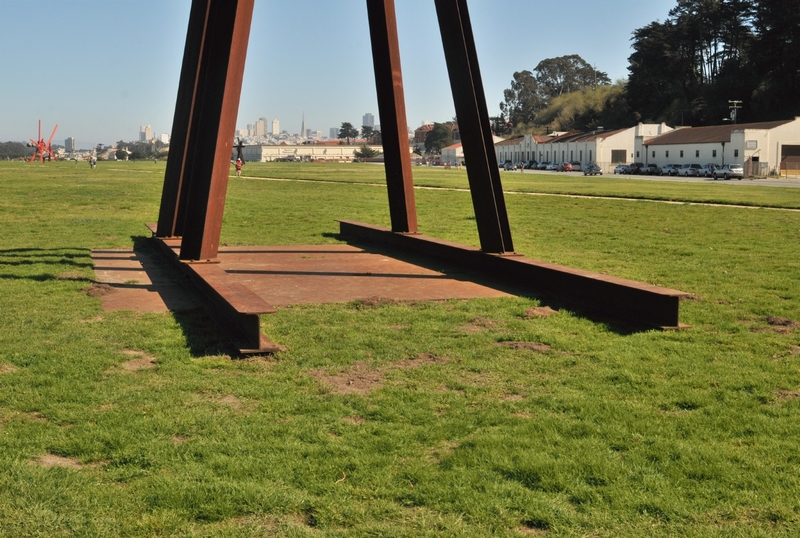 The sculpture rested on two parallel I-beam skids that were attached to a plate set into the ground. 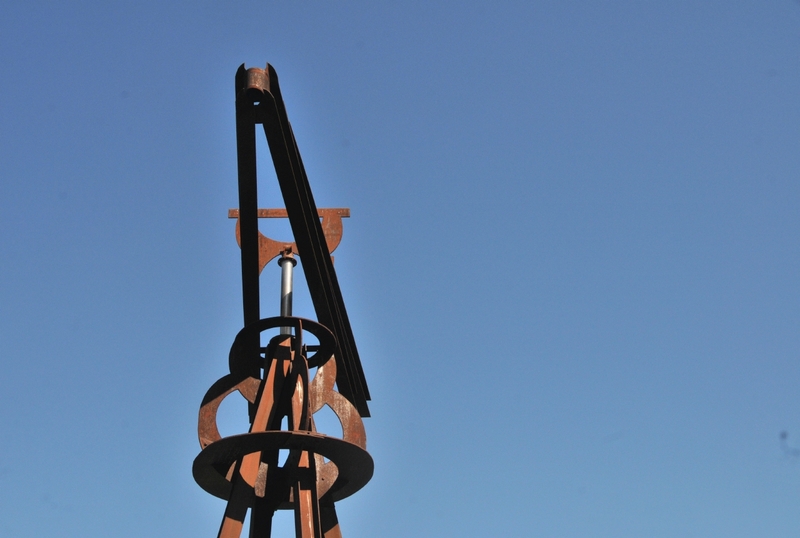 The top of this Dreamcatcher sculpture rotated on a steel shaft. 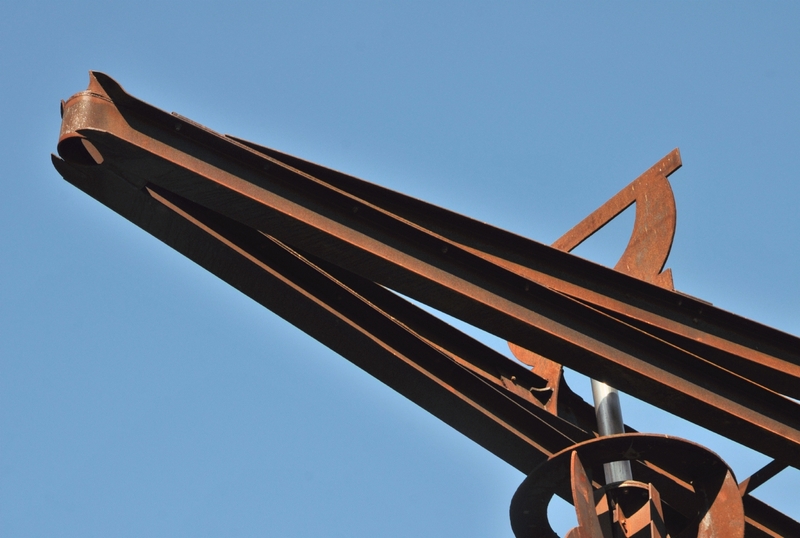 The top of the Dreamcatcher sculpture almost resembled an old fashioned wind vane. 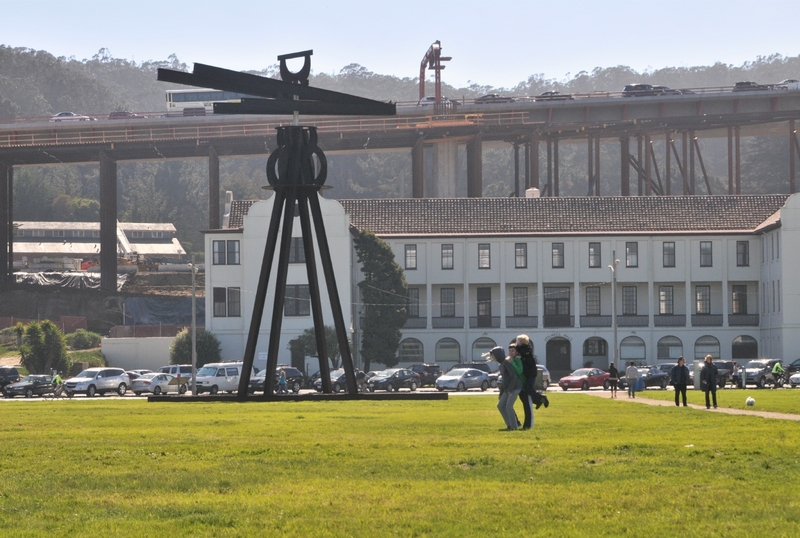 The Dreamcatcher sculpture also perhaps resemble a surveyor's instrument.